"Armenians and Armenian Photographers in the Ottoman Empire"
"Julia Grimes, research assistant at the Getty Research Institute, introduces a fascinating selection of images from the Pierre de Gigord Collection detailing Armenian life in the 19th-century Ottoman Empire, many from the studio of Armenian photographers Pascal Sebah and the Abdullah Frères. 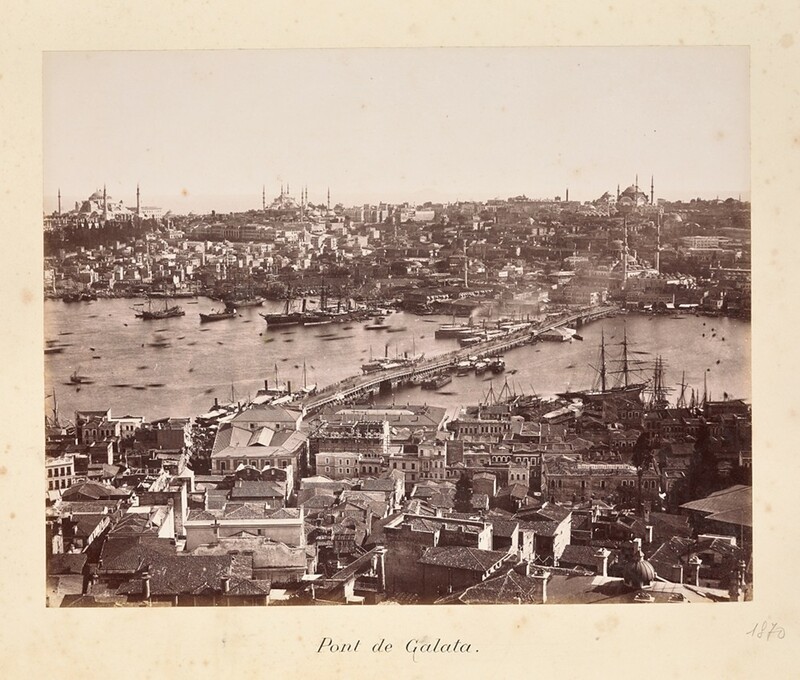 Benefiting from the continued generosity of French photograph collector Pierre de Gigord, the Getty Research Institute (GRI) has assembled an extensive collection of images documenting the 19th-century Ottoman Empire, specifically the area which we know now as Turkey. 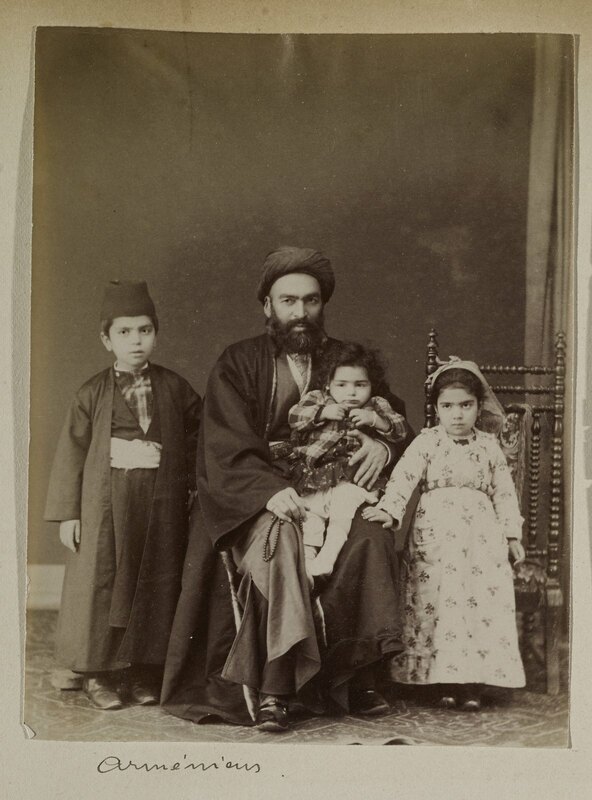 A growing number of these photographs depict the Armenian community within the empire, representing religious leaders, families, and individuals in full ethnic dress. 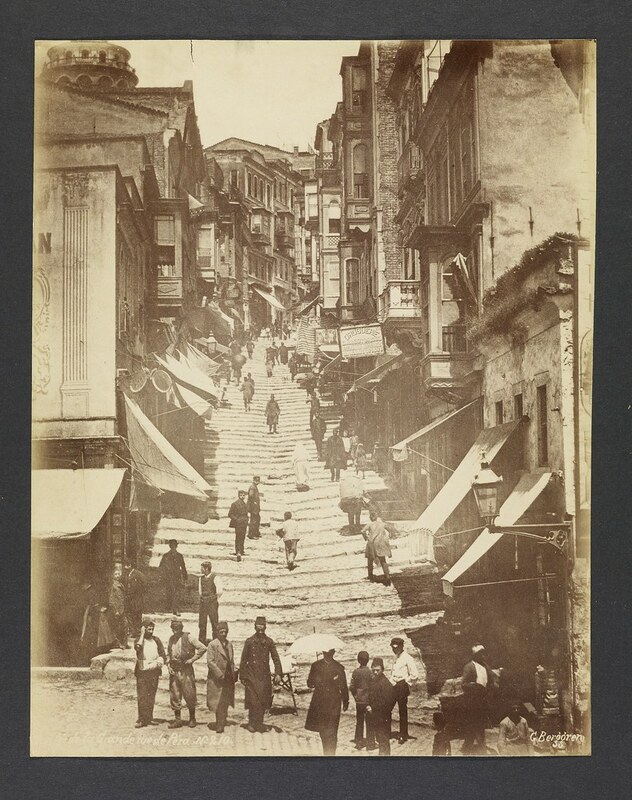 Besides those living in Constantinople (present-day Istanbul), the Ottoman capital and location of the major photographic studios, certain images also record details of life in other cities, including valuable views of their Armenian quarters. 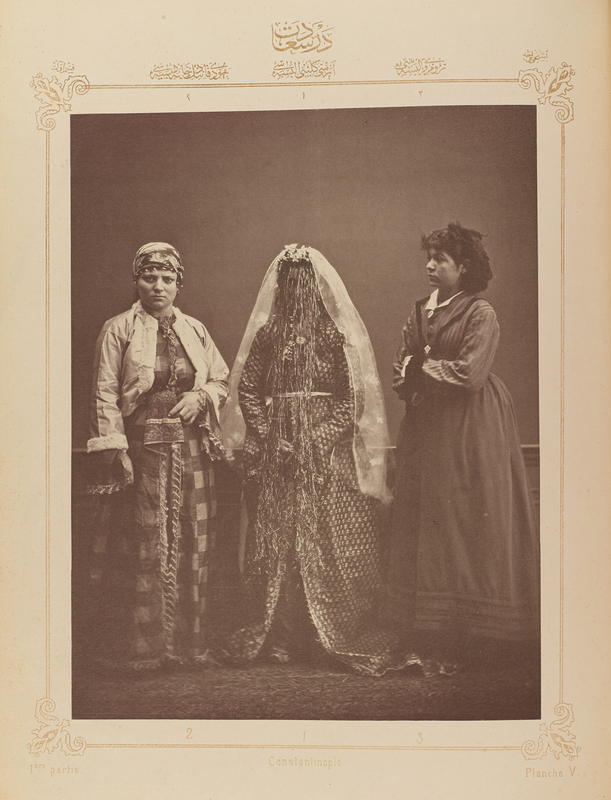 Perhaps the most fascinating aspect of the Gigord collection is the number of images taken by Armenian photographers. Due to the frequent employment of Armenians as chemists, goldsmiths, and pharmacists, many possessed the skills necessary for photography, in particular a thorough knowledge of the chemical processes used in development. During the late-nineteenth century, some of the principal studios in Constantinople were owned and operated by photographers of Armenian descent. Pascal Sebah, for instance, opened his 'El Chark' studio in 1857, and by 1873 had achieved such success with his elegant, crisply detailed portraits that he opened a second branch in Cairo, Egypt. By the time of his death thirteen years later, his name had become synonymous with studio photography in Constantinople to the extent that his studio remained active and the new managing partner, Polycarpe Joaillier, changed its name to 'Sebah and Joaillier.' The business continued to prosper and achieve renown, even adding Kaiser Wilhelm II of Germany to its list of clientele in 1889 during his visit to Constantinople...."
"J. Pascal Sebah (Armenian, 1823-1886), Armenian Family, ca. 1880." "Guillaume Berggren (Swedish, 1835-1920), Entry to the Main Street of Pera, ca. 1870." 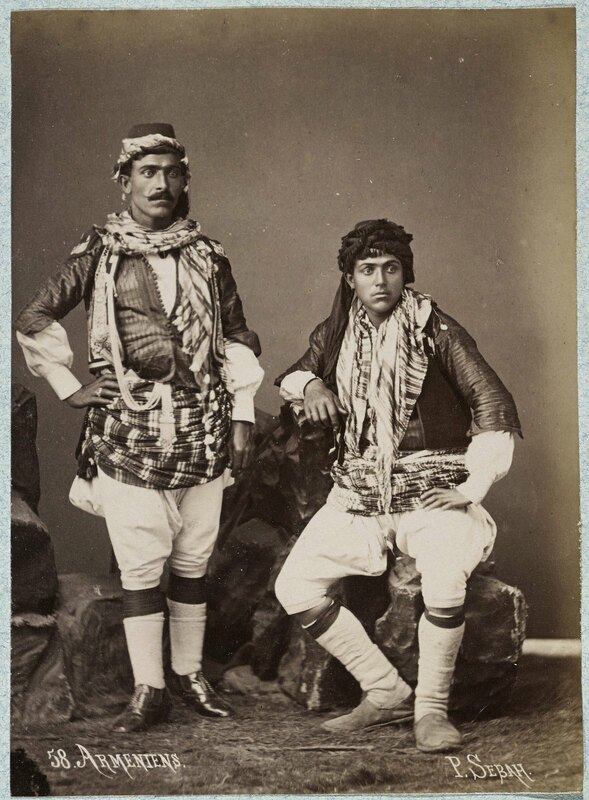 "J. Pascal Sebah (Armenian, 1823-1886), Armenian Men, ca. 1875." J. Pascal Sebah (Armenian, 1823-1886), Constantinople: Armenian Bride. From Osman Hamdi Bey (Turkish, 1842-1910), Les costumes populaires de la Turquie en 1873: ouvrage publié sous le patronage de la Commission impériale ottomane pour l’Exposition universelle de Vienne." "Abdullah Frères [Studio] (Armenian, active 1850s-1900), Galata Bridge. From Abdullah Frères, O.H. [Views], 1875-1880, 1884"
Not only is the article informative, but hopefully the pictures will help anyone seeking inspiration for non-Western culture Steampunk attire.